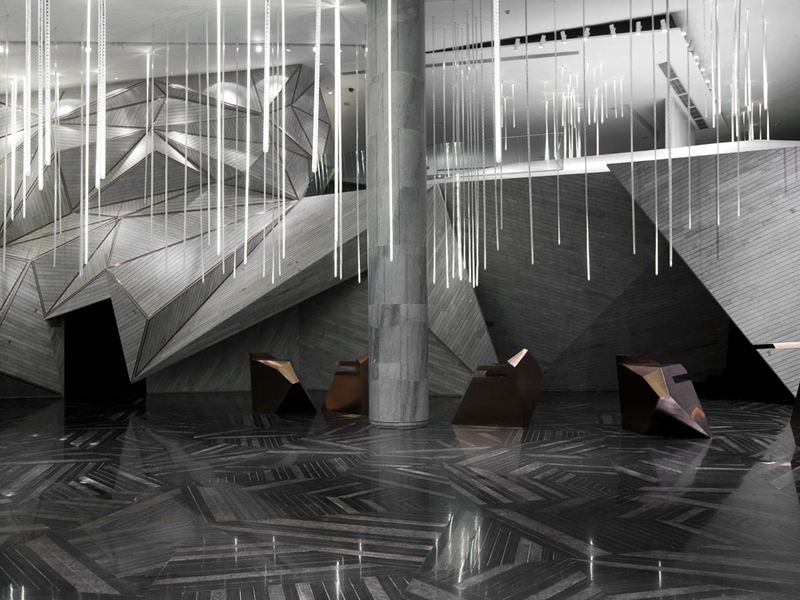 Taking inspiration from the surrounding mountain range in Nanshan, the newly designed Chongqing Mountain & City Sales Office has come to life. The interior architecture of the office, designed by One Plus Partnership, has its valleys and its peaks. 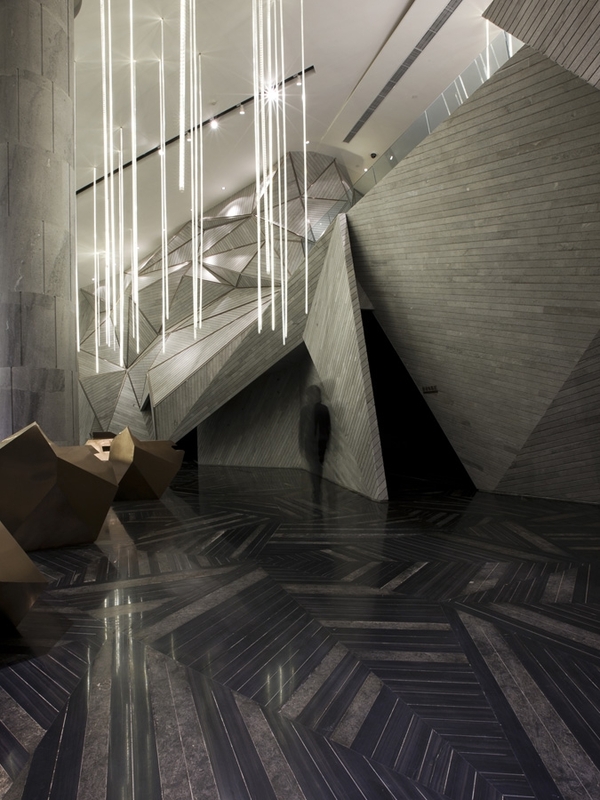 The space is fitted with an abstract version of a mountain, by connecting triangular grey marble faces to one another. 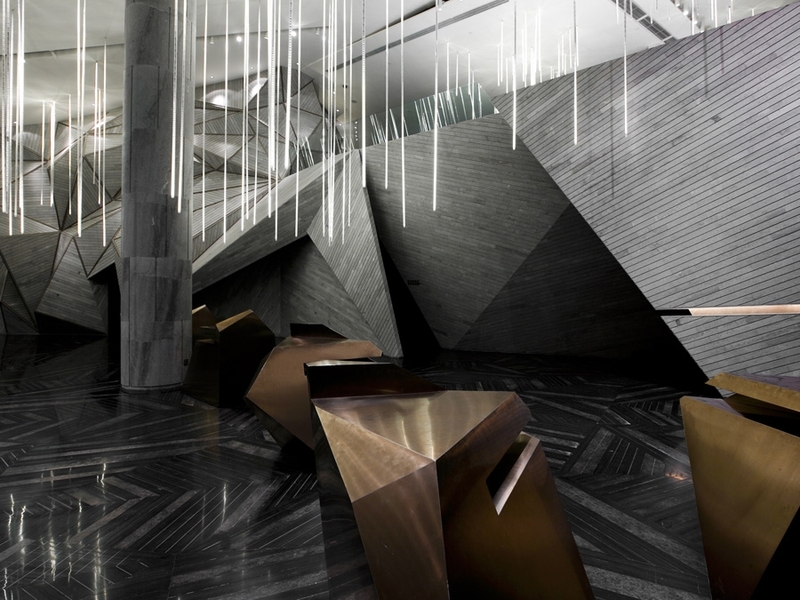 The "mountain range" is central in the office, and custom built angular bronze desks are randomly scattered around architectural element. A field of tube lighting drapes down from the ceilings creating an aesthetic of a rain shower pounding down on the rocks.